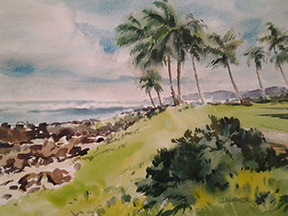 I create watercolor paintings of coastal landscapes and seascapes from Canada to Mexico; Hawaii to California; and the Mediterranean. My inspiration comes from the ever changing light and reflections of bodies of water. 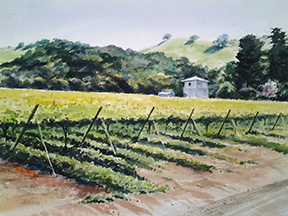 It is important to me to paint only from my own sketches and photos; this methodology focuses my vision into a very personal sense of place. I received a BFA from Art Center College of Design and a teaching credential from California College of Arts and Crafts. 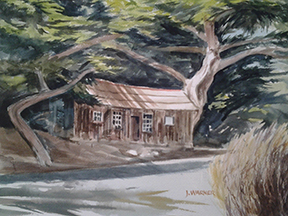 I have taught drawing and painting for over thirty years.